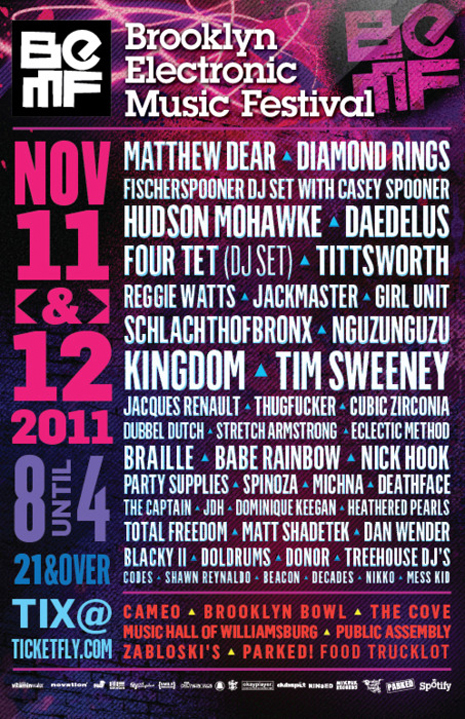 BEMF starts up again this evening, kicking off another dance music takeover of North 6th Street in BK all weekend. And the “F” must stand for Fools cause there’s a bunch of the crew playing! Grab passes here, check the full lineup here, and be sure to check Party Supplies and Cubic Zirconia starting it all off at Music Hall of Williamsburg tonight.